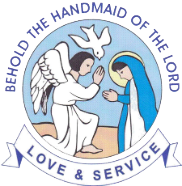 We are presently sponsored by the Handmaids of the Holy Child Jesus (HHCJ), a religious congregation that is highly devoted to education in Africa. HHCJ handles our tax deductible donations. We depend on supporters to help us make a difference. We belief in collaboration and partnerships. Our needs are many: shipping and handling, book collection, fundraising, professional development etc.